Can this coin be the secret to cheaper online shopping? Touting itself as "the first major Australian online retailer" to accept Bitcoin and Litecoin payments, Millennius is looking to make online shopping easier for customers. "Bitcoin is becoming a far more common payment mechanism for online transactions, with many global online businesses adding the functionality," said Millennius founder Pierre Boutros. Known at crypto-currency, Bitcoin and Litecoin are forms of digital currency managed through a peer-to-peer network. Only a certain amount of coins are produced daily, and though it is free from the control of governments and banks, transaction history is maintained in its entirety. Speaking to TechRadar, Boutros said: "It's always about making our products more accessible to our customers." "After monitoring trends, we have selected the right time to accept Bitcoins and Litecoins as we need to make the most of our agility to become an early adopter for new technology. Being agile after all, is often the only effective tool when competing against the larger players in the market." Millennius will still be accepting credit card and bank transfer payments, with the option to purchase a product using Bitcoin popping up during the transaction. For Litecoin payments, customers will be required to email the company for a quote, which will be valid for 24 hours. While Bitcoin hasn't yet achieved widespread use, retailers around the world are slowly starting to accept digital currencies. Boutros believes that it works specifically well for online retailers. Millennius began accepting the two forms of crypto-currency on Monday, and Boutros said that the company has already received positive feedback from customers. "We believe crypto-currency as a store of wealth has huge potential, as Bitcoin is essentially cash on steroids," he said. "It allows us to tap into markets where we can't with PayPal or [we can't] set up other gateways. It's a great opportunity… As there is no risk of charge-backs, customers paying with accepted crypto-currencies (Bitcoins and Litecoins) can receive their product regardless of whether they are in North Korea or Iran." For Millennius, it is a goal to make prices as cheap as possible for consumers. In the future, Millennius will be looking to make paying with Bitcoin cheaper than paying with credit cards, passing on savings from credit card fees directly to the customer. 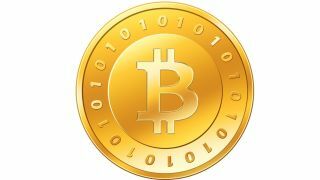 "Bitcoin is a currency invented to leverage the capabilities of the internet to its fullest," Boutros said. "With Bitcoin's success, it will only further speed up the demise of brick-and-mortar shops. Transaction fees suffered from credit card purchases will just be another point of attrition (in addition to floor staff, rent, utilities, etc.) that eats into their already narrow margins."